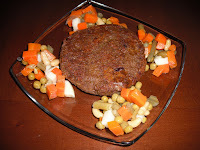 Ho ideato questi hamburger per tutti coloro che sono vegetariani, o che magari intolleranti alle uova non vogliono rinunciare ad un piatto davvero squisito! In un robot da cucina, inserire tutti gli ingredienti e azionare l'elettrodomestico a media alta velocità per qualche secondo. Dovrete ottenere un impasto omogeneo e malleabile. 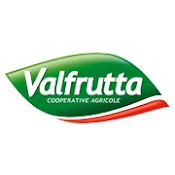 Se usate l'apposito attrezzo per hamburger ricordate di ungerlo di olio prima di inserire l'impasto per ogni hamburger ( facilita l'estrazione dall' attrezzo) oppure ungere le mani nel caso in cui ne siete sprovvisti. In una padella scaldare un filo di olio e friggere gli hamburger per qualche minuto, fino a quando su di essi formerà una crosta dorata. Servire accompagnato da verdura mista cotta a vapore. Se volete rinunciare alla frittura potrete cuocere gli Hamburger nel forno a 220°C per circa 5 -8 minuti. I wrote these burgers for those who are vegetarians, or intolerant to eggs who may not want to give a really delicious dish! 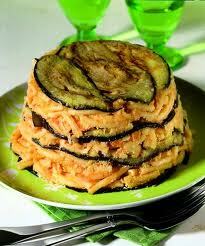 In a food processor, place all ingredients and operate the appliance at mediumhigh speed for a few seconds. You must obtain a homogeneous and malleable. If you use the appropriate tool for hamburgers remember to anoint him with oilbefore placing the mixture for each burger (facilitates removal from tool), or anointyour hands where they're lacking. In a pan heat a little oil and fry the burgers for a few minutes, until of them will form a golden crust. Serve with steamed mixed vegetables. If you want to give up fried food you can cook the hamburger in the oven at 220 ° C for 5 -8 minutes. Drain the meat from the broth in which it was boiled, privatala by which it is attached to any bones and insert it in the mixer. Add a little olive oil, a pinch of salt and black pepper and operate your mixer for a few seconds. 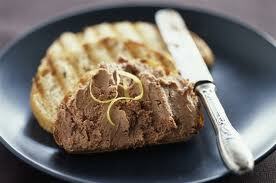 You will get a pate, great spread on toast in the oven when heated. With this recipe you can also use the cake. A glass bowl or mold domeIn a mortar to reduce the nougat pieces. 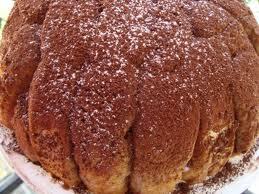 Then in a blender passatatelo powerful.Cut a 1 cm thick rectangular strips pandoro or cake to 2cm. Cover the bowl or dome-shaped mold with plastic wrap for food.Coat the mold with the slices of Pandoro (or cake), remember to set aside a part that will be used to cover and then close the zuccotto. the custard mix aside to be supported with enough pieces of nougat or chocolate chips.Sprinkle with 50ml of rum pandoro covering the dome or the bowl. 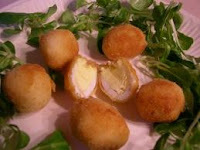 inserted into the custard and cover with strips of pandoro kept aside. cover with plastic wrap and put the mold in the freezer and let stand for about 2 hours. Remove the film upside down on a plate. 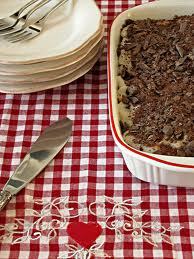 Remove foil and the other remained, and sprinkle with cocoa and powdered sugar.In the same way you can make a trifle alternating layers of Pandoro (or Panettone) and custard, replacing the rum with the alkermes. Peel the boiled sausage and cut into slices. In a skillet, heat a little olive oil and the chopped white onion. Combine lentils, and cook for a minute. Add salt if necessary.Roll out the dough brisè or browse and obtain records. Lining the molds for tartlets buttered and floured. Prick the dough with a fork. Enter inside a circle of baking paper and fill with dried beans. (Will be used for cooking tartlets, so cooking the dough does not get up from the bottom) Put in the oven at 180 ° C -360 F, for 15 minutes. Remove the tartlets from the oven empty them from the paper and beans. 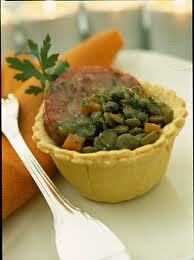 Fill the tartlets lentil inserted in the center of a slice of sausage and pour over a tablespoon of cream of potato ready. Go to the grill of the oven for a few minutes the tartlets.Serve warm. Baking paperIn a bowl, peel the boiled sausage, and crumble. (Add the lentils read if you wish). Add the eggs lightly beaten. Adjust salt if necessary. add a pinch of black pepper.Mix everything together. If you want to fry the omelette, heat extra virgin olive oil in a frying pan. pour the mixture of sausage and cover with a lid, cook the omelet to one side then turn it upside down with the lid (making sure oil! Check that there is otherwise drain the excess first to flip the omelette on the cover) and put in the pan to finish cooking the other side of the omelet.If you proceed with the baking, a mold lined with baking paper and pour the mixture of pork sausage. Bake at 200 ° C - 400 F, for about 15 minutes or until eggs are coagulated and form a crust on the surface is just golden. First, soak in water (as indicated on the package) the gelatine. Prepare the vegetable broth. Times comply with instructions given on the package of gelatin.pentolino.Aggiungere dissolve in a broth. In one or more molds pour your filling (eg vegetables, ravioli, etc..). The stuffing should be wide enough in the mold. Pour over the jelly. Leave to cool. 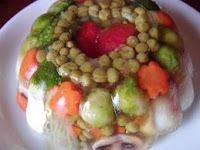 Cover the preparation with aluminum foil and place in refrigerator to solidify for at least a couple of hours.To remove the aspic mold to pass before the bottom of this in hot water for a few seconds. Then flip the mold in the pot. Paste Browse or Brisèè, which probably have bought for the holidays. Alternatively, use the dough, very easy to prepare at home. Take the pasta already cooked, or if you have not previously cooked cook until al dente, drain the water or broth. Cut into cubes, the sausage if you can, or if it is already cut into slices like a sausage into small pieces. Even the cheese cut into cubes. Mix the three ingredients in a bowl. Sprinkle with Parmesan cheese and mix.Adjust the salt if it is necessaryRoll out the puff pastry with rolling pin or bread, 3 / 4 covered an oven, previously oiled and floured, the bottom and sides of the mold. With a fork holes in the bottom and sides of dough. Inserted into the stuffing before. 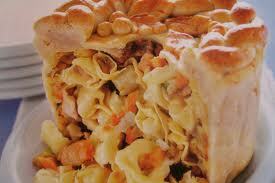 Spread another layer of pasta and the mold and close the pie sealing the edges of the dough so that it will not open during cooking. Holes in the surface with a fork and decorated as desired.Finally, brush the surface with an egg yolk. Bake at 200 degrees for 30 minutes. wait ten minutes before removing the flan from the mold. Melt chocolate in double boiler.In a large bowl cutter with the ability to enter or dove or panettone panettone spezzettandola with a knife. add a shot of liquor of your choice and operate your equipment. get a hard enough and homogeneous mixture. If your unit has difficulty working, add a little liquid chocolate. With very clean hands make small balls, as big as a walnut. With the help of a spoon to dip them in chocolate and place on a tray lined with baking paper to cool to solidify, (in the fridge for a few hours) before serving. Liquor with low alcohol content of your choice. First, it is Easter doves remove the top cap of the cake if it is decorated with sugar and almonds, without cutting the cake. Just scrape with a knife, sugar and crumble the entire decorated surface. Gather the crumbs of sugar and almonds and keep aside. cut into slices not too thick, the dove. In the case of cake or panettone, cut into horizontal slices and then into four parts. to have so many scraps of cake. Turn your oven to brown and go to grill. must be with a crispy crust. We'll take a few minutes. Go into the cutter sugar crumbs and almonds both whole and in pieces. Remove the toasted slices of the cake. 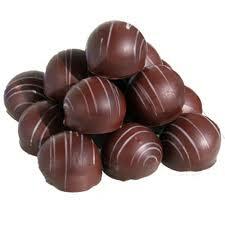 In double boiler melt the chocolate with 400g of cream, until a thick cream. In a bowl or individual cups (you can also use martini glasses cocktal type) just to wet the bottom with liquor: Alchermes or Vermouth, or otherwise. Place the pieces of sweet toasted, pour a little cream over the chocolate, and over a few crumbs of almonds and sugar. Do many layers to fill your chosen container. decorated with whipped cream, you will not have used before.